Young people mentored by some of the UK’s leading professional photographers used iPhones to recapture a childhood photo of each of the sitters. This exhibition presents the original inspirational image alongside the new portrait in pairs throughout the building, presenting a unique visual living history charting where people start, and what they have gone on to achieve. Look At You Now features photo portraits by young people of 53 theatre-makers who are connected with the NT. 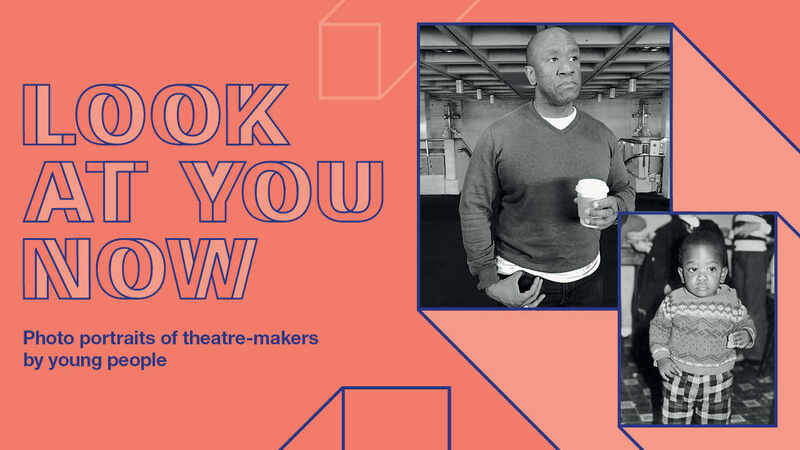 People featured in the exhibition come from a cross section of careers across the creative industries from actors to costume designers, playwrights to sound technicians. They all spent time with the young people talking about their work in theatre and the path their lives took since the original photograph was taken. The young people who took part in the project came from neighbouring schools and colleges and have gained skills in portrait composition, identifying shoot locations and photographic lighting through working with their mentors. The story of the exhibition is told in the Lyttelton Lounge including a short film featuring a number of people featured in the exhibition and a free exhibition guide detailing all portrait pairs can be picked up from the Lyttelton Lounge and throughout the building. What advice would you give a young person about starting a creative career?